It was explored whether three different applications of elastic tape on the lower limbs of active, healthy dancers influence their postural control performance. 15 active, healthy dancers randomly performed demi-pointes and sissone ouvertes on a force platform in four experimental conditions: 1. no tape application, 2. ankle joint tape application, 3. leg muscle tape application, and 4. control tape application. Four kinetic parameters were calculated in order to represent postural control performance: 1) variable error of force magnitude in forward-backward direction, 2) variable error of force magnitude in side to side direction. 3) peak impact force during landing phase and 4) episodes of overall duration. Results revealed a task-dependent performance-enhancing effect and an application-specific performance-influencing effect concerning vertical ground reaction force measurements. It is concluded that the application of elastic tape for healthy, active dancers may on the one hand enhance parameters of postural control, whereas the same elastic tape application may hamper other performance related aspects of typical modern and classical ballet dance routines. Conflicting scientific results may thus indicate that generalized effects are controversial and positive influences in one specific characteristic can induce a decrease in another performance influencing characteristic. 1. Bassett K.T., Lingman S.A., Ellis R.F. The use and treatment efficacy of kinaesthetic taping for musculoskeletal conditions: A systematic review. N Z J Physiother. 2010; 38: 56–62. 2. Bicici S., Karatus N., Baltaci G. Effect of athletic taping and kinesiotaping on measurements of functional performance in basketball players with chronic inversion ankle sprains. IJSPT. 2012; 7 (2): 154–166. 3. Bökelberger A., Lehner O. Kinesiologisches Taping – Das Arbeitsbuch [Workbook kinaesthetic taping]. Hans Huber, Bern 2012. 4. Chi M. Two approaches to the study of experts’ characteristics. In: The Cambridge Handbook of Expertise and Expert Performance. Eds. K.A. Ericsson, N. Charness, R.R. Hoffmann, P.J. Feltovich. New York 2006: 21–30. 5. Cohen J. Statistical power analysis for the behavioral science. Lawrence Erlbaum. Mahwah 1988. 6. de Hoyo M., Álvarez-Mesa A., Sañudo B., Carrasco L., Domínguez S. Immediate effect of kinesio taping on muscle response in young elite soccer players. J Sport Rehabil. 2013; 22: 53–58. 7. Fayson S.D., Needle A.R., Kaminski T.W. The effects of ankle kinesio taping on ankle stiffness and dynamic balance. Res Sports Med. 2013; 21: 204–216. 8. Fu T.-C., Wong A.M.K., Pei Y.-C., Wu K.P., Chou S.-W., Lin Y.-C. Effects of kinesio taping on muscle strength in athletes – A pilot study. 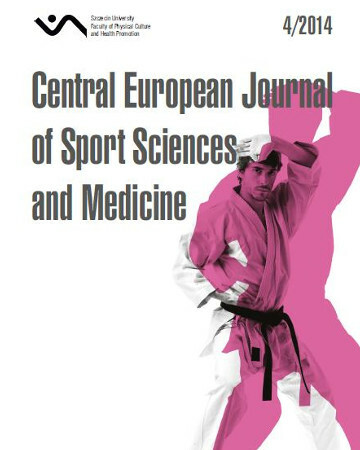 J Sci Med Sport. 2008; 11: 198–201. 9. Halseth T., McChesney J., DeBelsio M., Vaughn R., Lien J. Effects of kinesio taping on proprioception at the ankle. J Sports Sci Med. 2004; 3: 1–7. 10. Hettle D., Linton L., Baker J.S., Donoghue O. The effect of kinesiotaping on functional performance in chronic ankle instability – Preliminary Study. Clin Res Foot Ankle. 2013; 1 (1): 1–5. 11. Huang C.-Y., Hsieh T.-H., Lu S.-C., Su F.-C. Effect of kinesio tape to muscle activity and vertical jump performance in healthy inactive people. Biomed Eng Onl. 2011; 10: 1–11. 12. Kase K., Wallis J., Kase T. Clinical therapeutic applications of the kinesio taping method. Kinesio Taping Association, Tokyo 2003. 13. Kumbrink B. K Taping: An illustrated guide. Springer, Heidelberg 2012. 14. Messerer A., Briansky O. Classes in classical ballet. Limelight. New York 2007. 15. Mostert-Wentzel K., Swart J.J., Masenyetse L.J., Sihlali B.H., Cilliers R., Clarke L., Maritz J., Prinsloo E.-M., Steenkamp L. Effect of kinesio taping on explosive muscle power of gluteus maximus of male athletes. SAJSM. 2012; 24: 75–80. 16. Nakajima M.A., Baldridge C. The effect of kinesio tape in vertical jumo and dynamic postural control. IJSPT. 2013; 8 (4): 393–406. 17. Nunes G.S., de Noronha M., Cunha H.S., Ruschel C., Borges N.G. Effect of kinesio taping on jumping and balance in athletes: A crossover randomized controlled trial. J Strength Cond Res. 2013; 27: 3183–3189. 18. O’Loughlin P.F., Hodgkins C.W., Kennedy J.G. Ankle sprains and instability in dancers. Clin Sports Med. 2008; 27: 247–262. 19. O’Sullivan D., Bird S.P. Utilization of kinesio taping for fascia unloading. IJATT. 2011; 16: 21–27. 20. Riemann B.L., Myers J.B., Lephart S.M. Sensorimotor system measurement techniques. J Athl Training. 2002a; 37 (1): 85–98. 21. Riemann B.L., Schmitz R.J., Gale M., McCaw S.T. Effects of ankle taping and bracing on vertical ground reaction force during drop landings before and after treadmill jogging. J Ortoph Sport Phys. 2002b; 32 (12): 628–635. 22. Słupik A., Dwornik M., Białoszewski D., Zych E. Effect of kinesio taping on bioelectrical activity of vastus medialis muscle. Preliminary report. Med Sport Press. 2007; 6: 644–651. 23. Vercelli S., Sartorio F., Foti C., Colletto L., Virton D., Ronconi G., Ferreiro G. Immediate effects of kinesiotaping on quadriceps muscle strength: A single-blind, placebo-controlled crossover trial. Clin J Sports Med. 2012; 22: 319–326. 24. Williams S., Whatman C., Hume P.A., Sheerin K. Kinesio taping in treatment and prevention of sport injuries. Sport Med. 2012; 42: 153–164. 25. Winter D.A. Biomechanics and motor control of human movement. John Wiley & Sons, New York 2009.